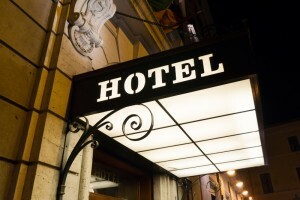 If you are the owner or manager of a hotel, motel or resort you may be struggling to connect with your guests a lot of the time. You already know the importance of having a well-executed and informative guest directory but you may be missing out on other ways to use this powerful tool. Below you can find just a few ways you can encourage your guests to leave feedback by using your guest directory. Every successful hotel guest directory contains a welcome letter that is addressed to the guest. This is simply best practice. Make sure to write the letter to sounds more personal rather than it is coming from a temporary landlord. Offer your gratitude to the guest for them choosing to stay at your establishment and make sure to express that they should feel free to contact the front desk should they need anything at all. Including a short survey in your hotel directory can be extremely helpful in improving your hotel or resort. Surveys are easy and fast for guests to fill out which will not only make it easier to get more feedback but will also make your guests happy as they don’t want to spend their entire vacation writing a review of your establishment. Make sure to plug your social media pages in your directory. If guests have a great experience at your place of business, it is likely the first place they will go to talk about it is on their personal social media pages. Knowing they can “Like” a page you run on Facebook or that they can follow you on Twitter will only help you get them to return to your location in the future. North American Directory Services knows all the smart tactics to follow to have the best guest directory. If you are in need of new directories, feel free to contact us today. We would love to talk to you!